There is currently a prevalent sense of grave concern and apprehension, one may even say a degree of anxiety, in a section of the legal community that the deeply cherished values of judicial independence and moral integrity among judges are under serious threat and in a state of crisis. The foreshadowed dangers have over the years increased in intensity and have now reached a critical point. Two Sri Lankan Supreme Court Judges are also Judges of the Supreme Court of Fiji, which is under a military dictatorship. Many other Sri Lankans are also judges of other courts in Fiji, making them servants of the Fijian military dictatorship. The Sri Lankan Supreme Court Judges who sit on the Fijian Supreme Court are Justice Saleem Marsoof and Justice Sathya Hettige. The names of the judges can be read on the following website:http://www.judiciary.gov.fj/supremecourt.html. The main issue here is the impact their Fijian jobs have on Justices Marsoof and Hettige when they are sitting in the Supreme Court at Hulftsdorp. Can we expect justice and independence from servants of military dictators? What is their judicial mentality? What is their ethical compass in relation to the judicial function? What principles of judicial independence do they adhere to? Do they make a distinction between their Sri Lankan and Fijian judicial roles? Can someone serving under a foreign military dictatorship, legitimately and credibly, sit at the same time on the bench of the Supreme Court of Sri Lanka? What can be expected of judges in Sri Lanka who serve a military dictatorship elsewhere? Some would say there is no difference between a military dictatorship in Fiji and an elected dictatorship in Sri Lanka. But others still have a hope about Sri Lanka’s Supreme Court and judiciary, because there are still judges who have been forthright and dispense justice without fear or favour. Fiji is a country where there is no independence of the judiciary. The president of Fiji’s Law Society (http://www.lawsociety.org.nz), Jonathan Temm says, “that Fiji’s judiciary is effectively no longer independent”. The Law and Justice Report issued by the Citizens Constitutional Forum found that 40 judicial officers were dismissed in the year to April 2010, in addition to the five recently dismissed magistrates. 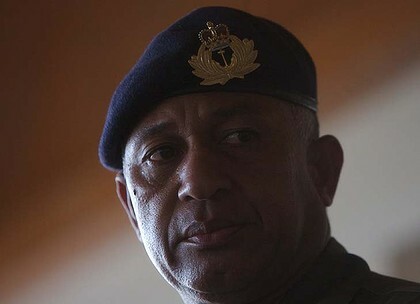 Since the coup in December 2006, other Australian lawyers and judges had turned down similar offers to serve as judges in Fiji. A spokeswoman for Australian Foreign Minister Stephen Smith said the Australian Government was concerned about the state of Fiji’s judiciary. “The state of the Fijian judiciary is a matter of concern, as evidenced by the fact that most expatriate judges, including a number of Australian nationals, have resigned or have refused to renew their contracts,” she said. It seems judges in other democracies have refused to accept offers or who give judgments against the military government in Fiji are fired and they recruit judges from Sri Lanka whom they can control. That is the level of Sri Lankan judges. The other issue here is that in Sri Lanka there is a massive case backlog of thousands of fundamental rights applications. But there are judges going abroad to earn extra-money for which they need the permission of the President. Getting permission from the President itself is a compromise with the Executive. We raised serious issues affecting the integrity of the Sri Lankan judiciary. We raised the issue of the appointment of retired Chief Justice Asoka de Silva as Senior Legal Advisor to the President. Today the Chief Justice, tomorrow an adviser to a controversial head of the state. What does this imply? Where is the integrity of Sri Lanka’s judiciary? We raised the serious conflict of interest issues relating to the present Chief Justice. We want the Chief Justice to answer how her husband was appointed Chairman of Sri Lanka Insurance Corporation, and to the Lanka Hospitals Corporation PLC as a member of its Board of Directors. How was he also appointed as Chairman of the National Savings Bank? Had he applied for the job? Was he interviewed? Who were the other applicants? Were there any other qualified applicants other than her husband? She must also explain how these things are consistent with international standards concerning judicial independence. If she cannot, she or her husband must resign. After all, like Caesar’s wife she too must be above suspicion. We also drew attention to the new tradition of judges inviting politicians to parties. Justice Sathya Hettige invited President Mahinda Rajapaksa, his brother Minister Basil Rajapaksa, and the Prime Minister D. M. Jayaratne and some other politicians to celebrate his promotion to the Supreme Court. Justice Sathya Hettige must explain why he invited President Rajapaksa to his daughter’s wedding to sign on behalf of their family, it being unlikely that Rajapaksa imposed himself as a witness. What is his relationship with the President? Is it appropriate that a Supreme Court judge should continue to have personal and social relations with the executive branch, especially of a government whose behaviour is extremely questionable from the viewpoint of democracy and the Rule of Law? Why did he go to work under the Fiji military dictatorship? 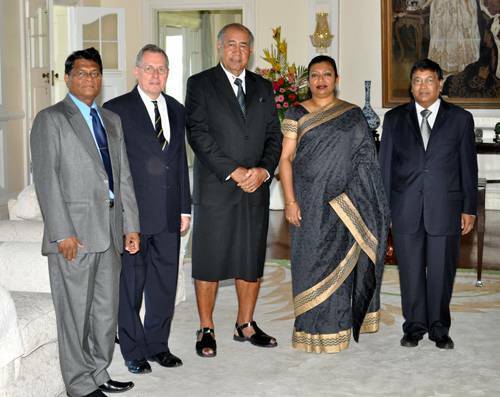 How does his Fijian experience influence his high judicial role in Sri Lanka? Did he not compromise his integrity and independence with the President when he got permission to go to Fiji? It seems the people of Sri Lanka must contend not only with Sri Lankan practices of corruption, but also with those who are influenced by foreign military dictatorships in the continuing decline of the professionalism and independence of the judiciary.